Having all the cleaning products in the world can be a frivolous effort unless you have the right accessories to complement them. To keep you covered, Armor All has the perfect range to ensure your car is looking pristine. Misty glass decreases visibility, makes a mess of the vehicle’s windows and delays drivers in the morning when they need to get to their destination. An easy way to handle this situation is to use the Armor All Microfibre Demist Pad. 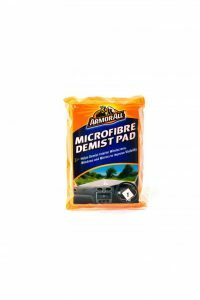 The easy care demist pad is made of a non-scratch and lint free micro fibre which is suitable for vehicles and households. Conveniently, the demist pad is machine washable and dryable, providing enhanced performance and longevity. Available from Amazon. 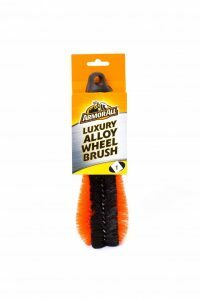 For those that think that any job worth doing is worth doing properly, the Armor All Luxury Alloy Wheel Brush will help them get into every nook and cranny, perfect for complex wheel designs and hard to reach areas. The soft rubber grip handle and non-scratch bristles allows for a superior wheel cleaning finish. Available from Amazon. Armor All is the no.1 car care brand in the USA, and the proud winner of a number of 2016 Auto Express Product Awards. The award-winning ranges and treatments combine quick and easy-to-use formulations with top quality results. The interactive online Product Advisor tool helps find the right product for you, and provides online Expert Tips to get the most out of your purchase. For more gift ideas and expert tips on keeping your vehicle in tip top condition, please visit www.armorall.eu. This entry was posted in Kids, More.